There is a constant white noise or hiss-like tone on the background and it’s annoying. I’ve asked Optoma if it was a faulty pair, but the white noise actually indicates that the earbuds are connected and that there is communication between the app you’re playing music or sound from and the earbuds. However, this means that right before the sound starts playing, you hear white noise and right after (for about 7 seconds) you also hear it. Oh and it doesn’t stop there. I wouldn’t have an issue with some white noise before and after, but the problem is that it’s continuous. So when you’re watching a YouTube-video for example and the person didn’t put music on the background, you WILL hear the white noise, and it IS ANNOYING. 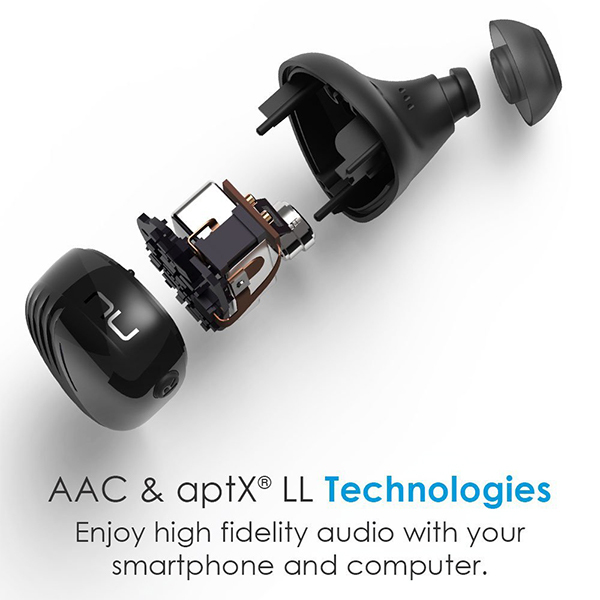 Although these wireless earbuds only have one con, it’s a big one. The white noise draws all the attention when listening to something and it’s just annoying and unpleasant. I think that’s really really unfortunate, because I really like the fit and overall sound (besides the white noise) of the earbuds. They work well, have great battery life, fit amazingly well, sound good but the white noise is a deal-breaker for me, unfortunately. 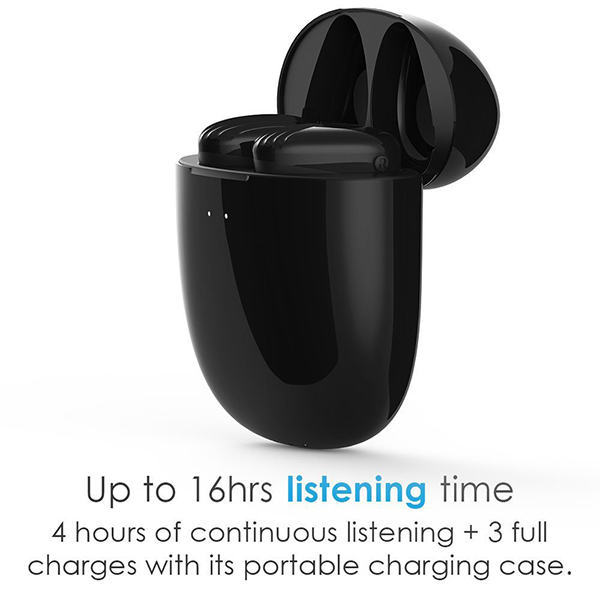 However, if you want to use these only for sporting, going outside and listening to music, you won’t hear the white noise that well (because music is always louder). But if you want to use them for video, you’ll hear the constant flat white noise tone and it will be annoying. PS: if you’re reading this and think I did something wrong that causes the white noise-issue, do let me know and I’ll do a second opinion. You can find the earbuds here.